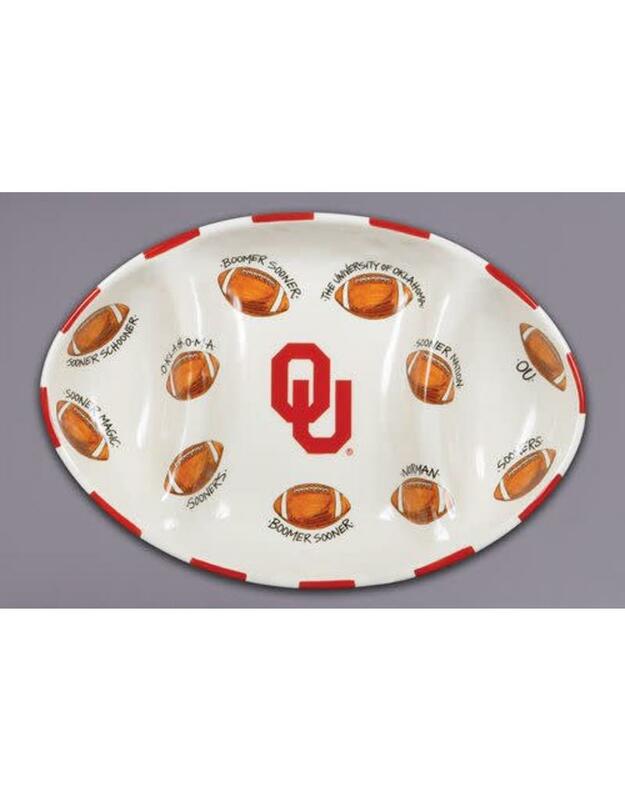 This officially licensed NCAA collegiate football serving platter will be the centerpiece of your next tailgating or game day event. 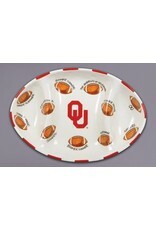 The football shaped ceramic platter decorated in team colors proudly displays your teams logo in the center surrounded by footballs featuring team chants and nicknames. The platter is large enough to hold plenty of your favorite tailgate food and is divided into 3 sections making it easy to serve different items. Great for hors doeuvres, dips, wings, sandwiches, sauces, snacks, or desserts.